I understand that the immigration process can be confusing and stressful. 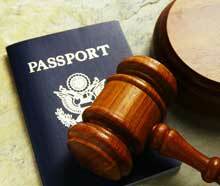 Together, we will create an innovative solution for your immigration case. When you’re in need of an attorney, you’re experiencing a very stressful situation. What you need is an attorney who cares - not just about your legal issues, but your personal well-being as well. I make sure my clients receive the high-quality legal assistance, resources, and personal support they deserve. I can help you through your case, step-by-step, to bring your fiancée to the United States, to apply for complex waivers, or to keep your family together as you fight your removal case. I will give your case the attention it deserves. Call today to schedule your initial consultation.